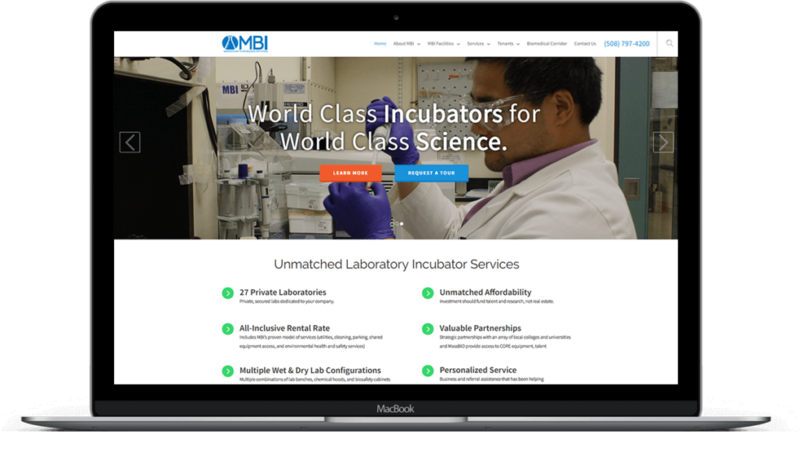 Mass Biotech wanted a website that reflected their reputation for cost-effective, full-service lab space for startups and growing companies. The new site had to be easy to use, and optimized to increase visibility for new prospects. They also wanted a flexible and easy to use CMS to keep the website up-to-date. 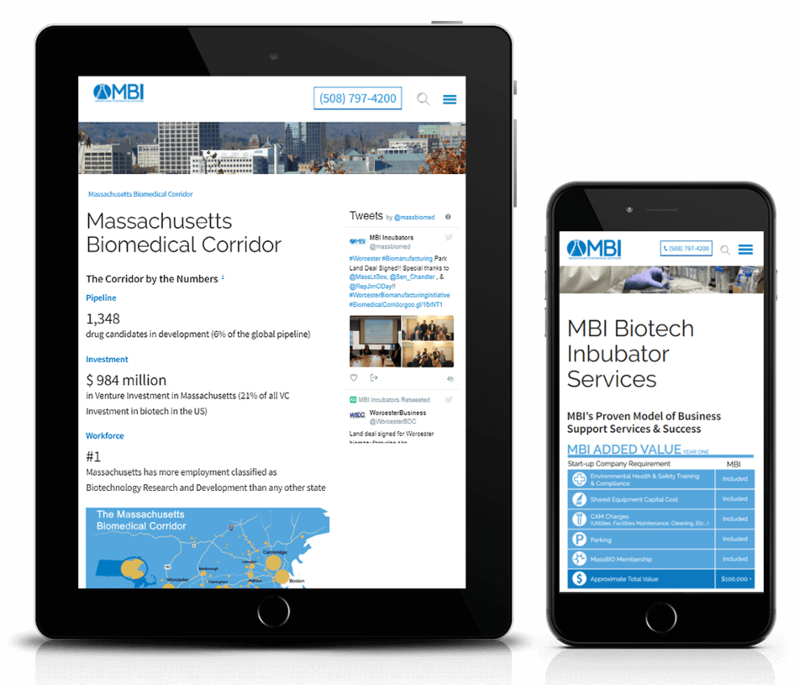 Using Growth Driven Design, we created a new website with a focus on drawing in new clients by showcasing existing tenants, and by using facility pages that are easy to update with current availability and services. We also created a Featured Tenant page used to promote the company around the web.